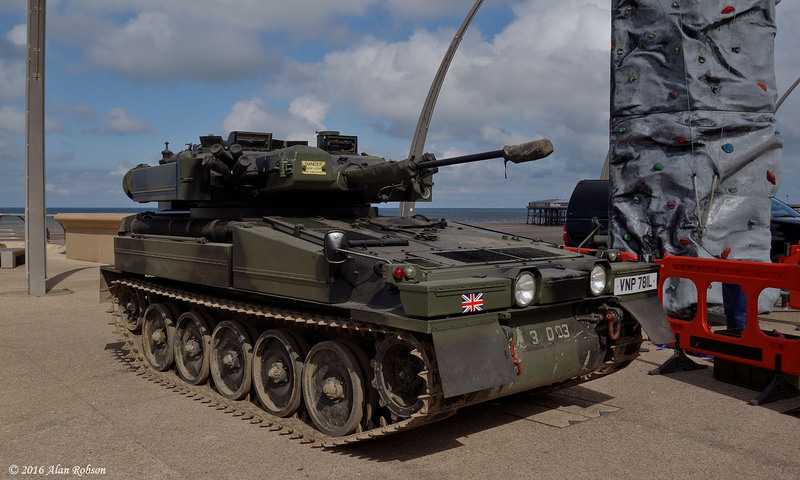 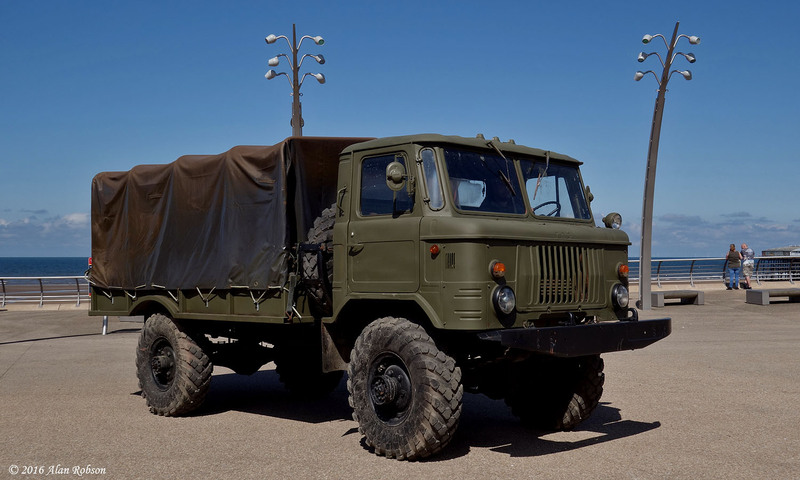 Saturday 25th June 2016 saw the National Armed Forces Day being commemorated in Blackpool, and as part of the tribute to the armed forces there were a variety of military vehicles on display around the town. 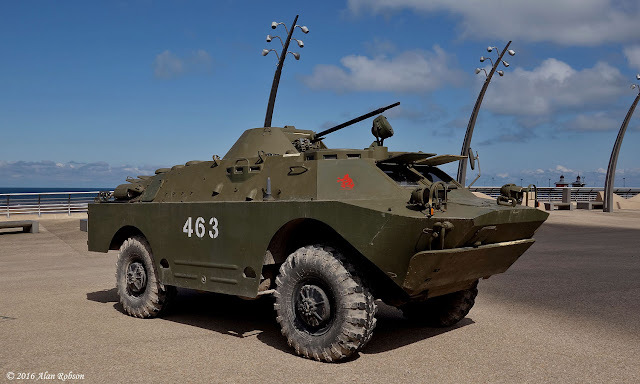 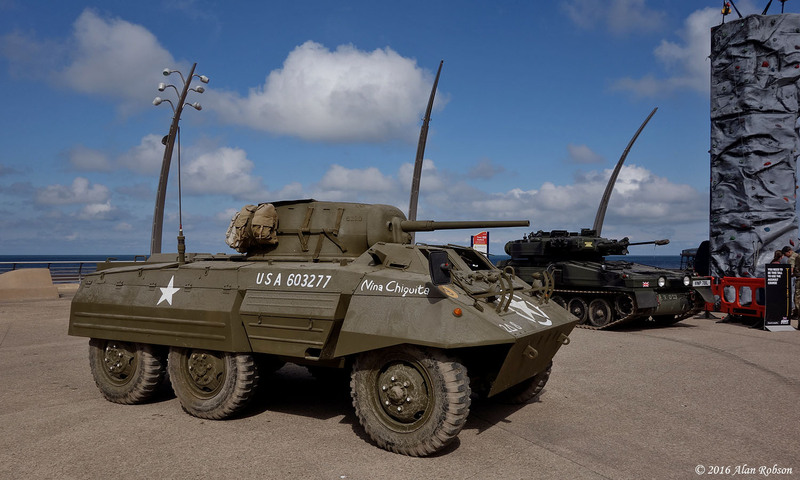 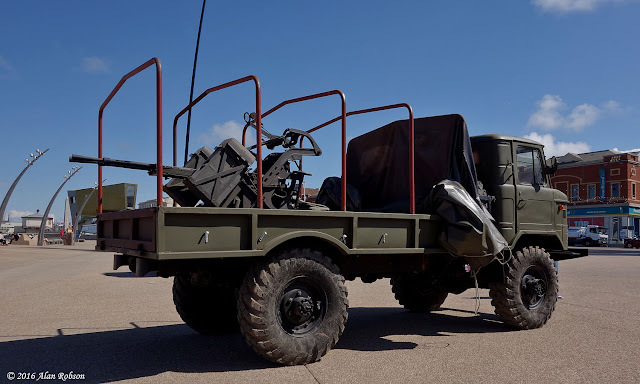 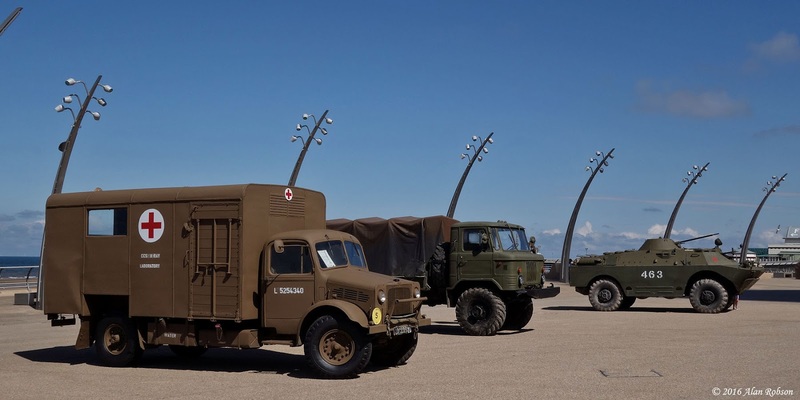 A varied selection of military vehicles were on display on the Tower Headland, consisting of a US Army WW2 M8 Greyhound armoured car, a British Army Alvis Sabre light tank, a 1943 British Army Bedford OY mobile X-Ray unit, a Russian GAZ-66 4x4 truck mounted with a ZPU-2 14.5mm anti-aircraft gun and a Russian BRDM-2 amphibious armoured patrol car. 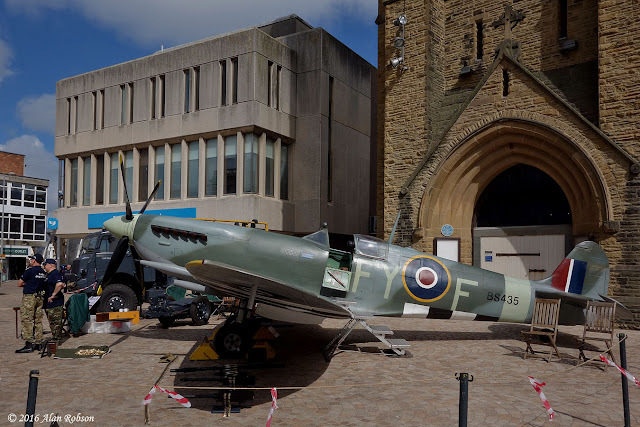 In St John's Square a replica RAF Supermarine Spitfire was on display along with a Bedford QL refuelling tanker, these were joined mid-morning by the M8 Greyhound armoured car from the Tower Headland. 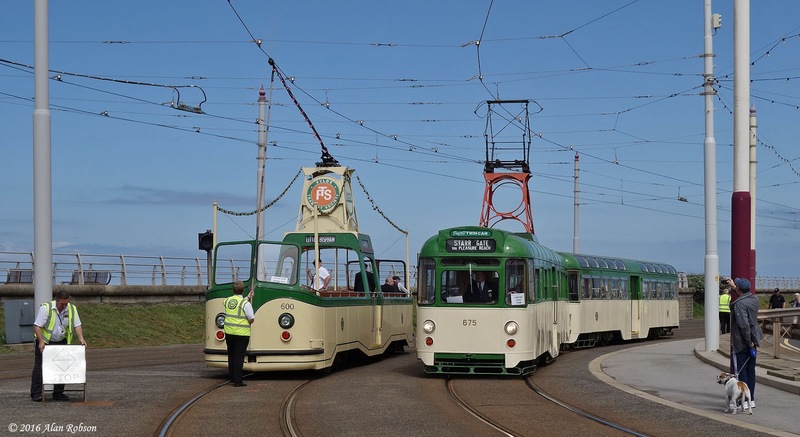 Blackpool Heritage Tour trams in use during the day were Bolton 66 and Railcoach 680. 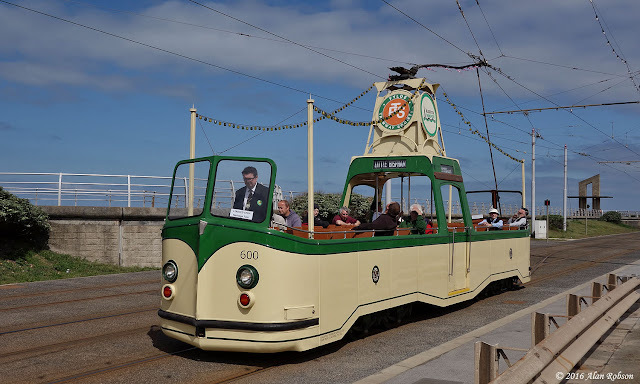 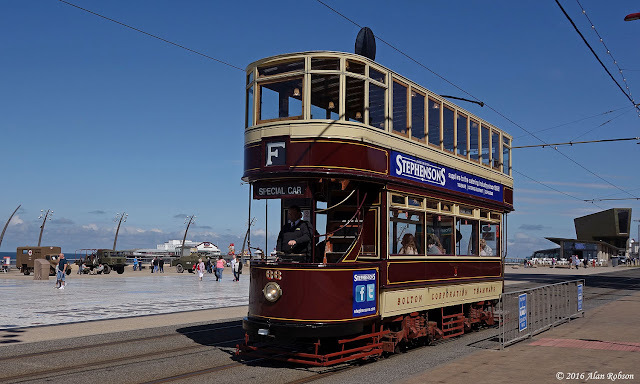 The enhanced timetable heritage operations on Saturday June 18th saw the vintage tram fleet operating over the full length of the tramway, from Starr Gate to Fleetwood Ferry. The Heritage Tour trams were timetabled to leave Starr Gate around every 20 minutes, and departed northbound in the following order commencing at 1005, Boat 227, Marton 31, Boat 600, Twin Set 675/685, Centenary 648 and Boat 230. 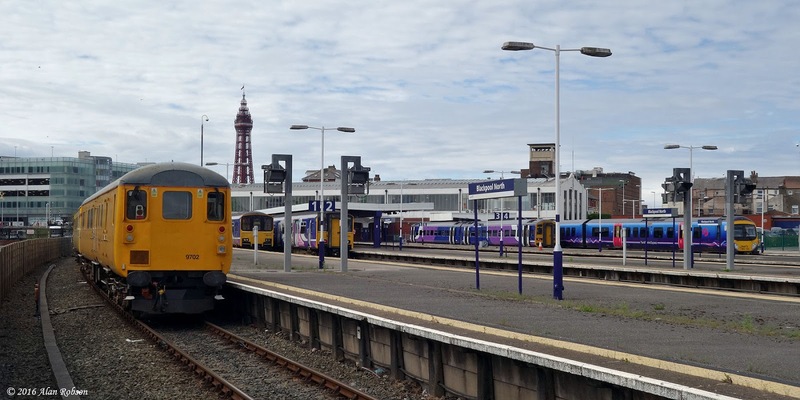 A Network Rail Infrastructure Monitoring train visited Blackpool on the morning of 17th June, hauled by a DRS Class 37/6 locomotive. 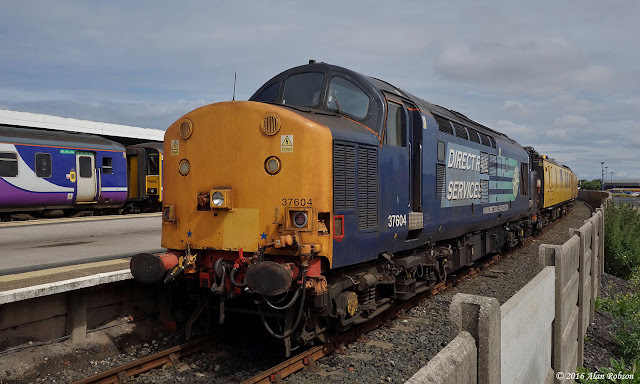 Direct Rail Services 37604 was at the head of the monitoring train, which was parked for several hours alongside platform 1 at Blackpool North Station, with DBSO control car 9702 at the rear. 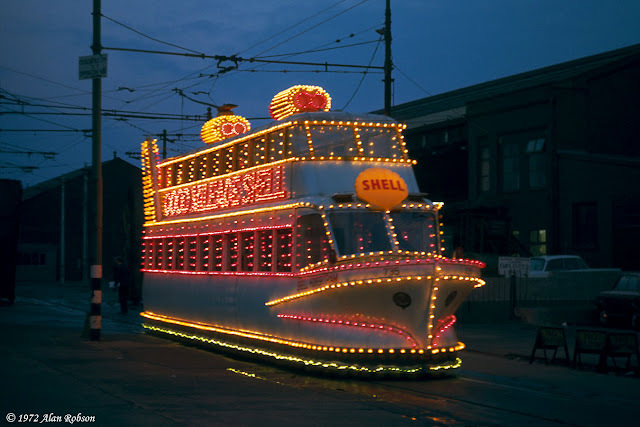 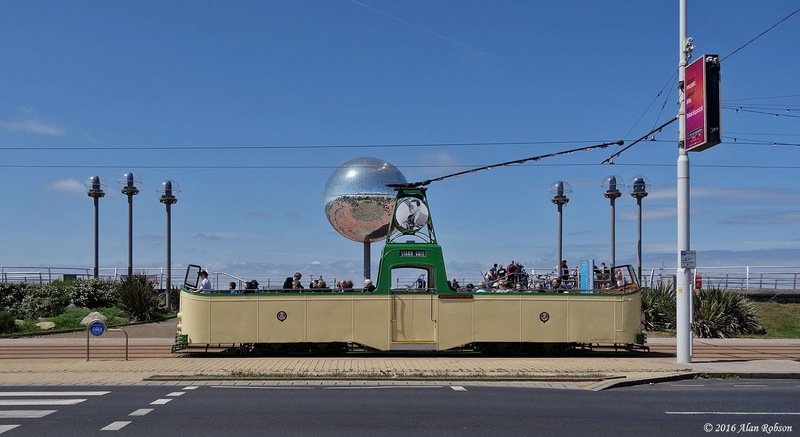 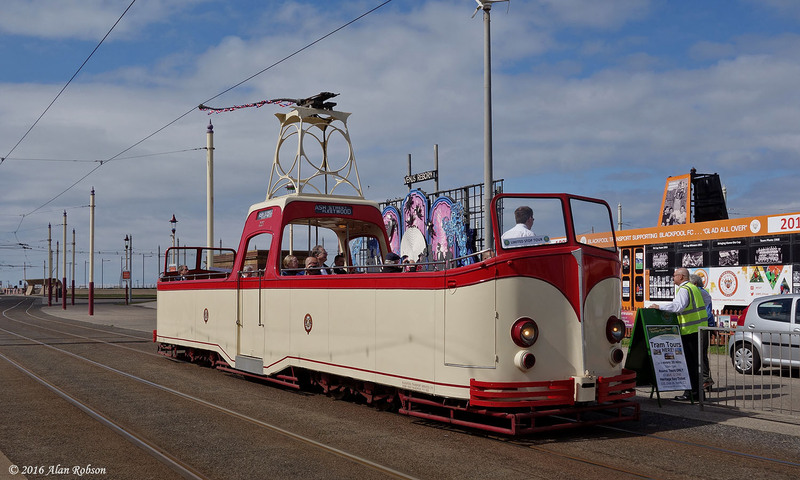 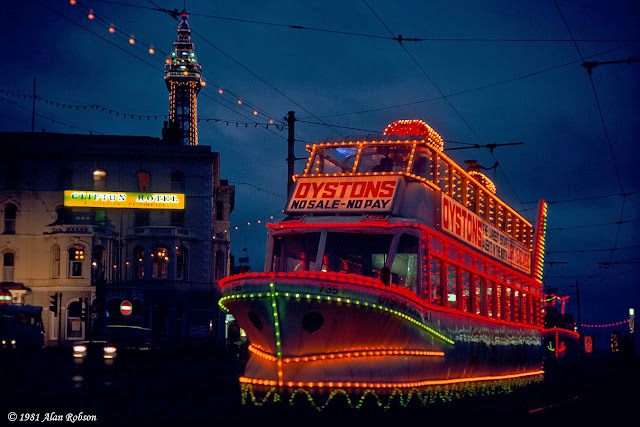 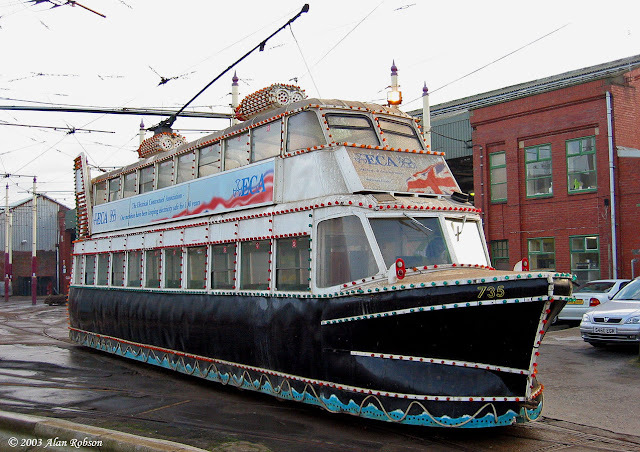 It has been announced that illuminated Hovertram 735 is to return to Blackpool for an extended loan period. 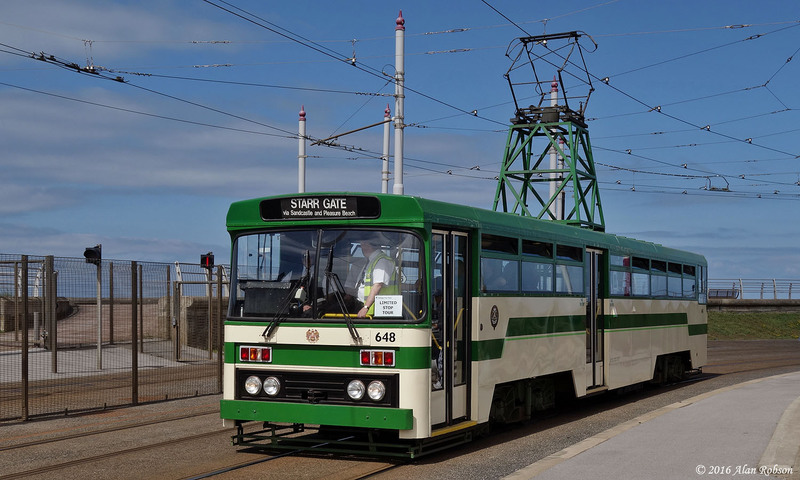 735's current owners, the North Eastern Electrical Traction Trust (NEETT) based near Sunderland, have agreed for the tram to return to Blackpool for an initial 20 year lease period. 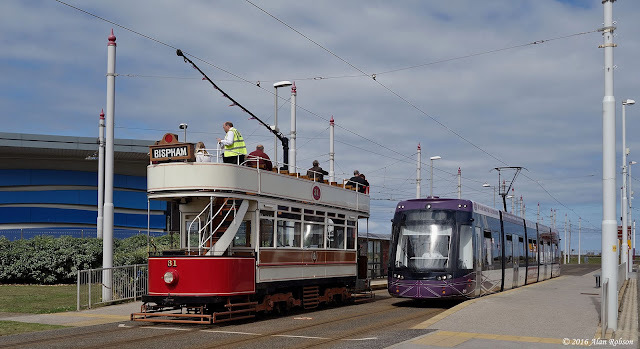 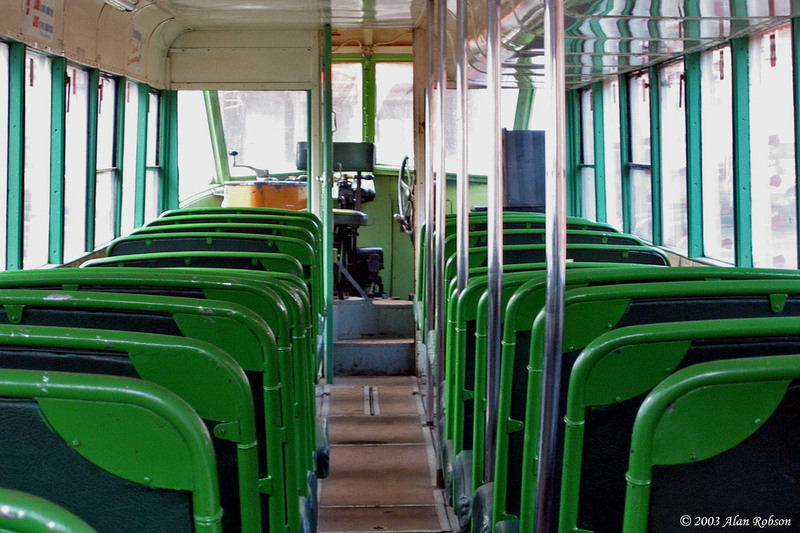 The Hovertram will require a considerable amount of work before it can be returned to operational condition, although internally the tram is in very good shape. The historic disused tram depot in Copse Road in Fleetwood is being demolished. The depot was built in 1897 for the Blackpool & Fleetwood Tramroad Company, and finally closed in 1963. 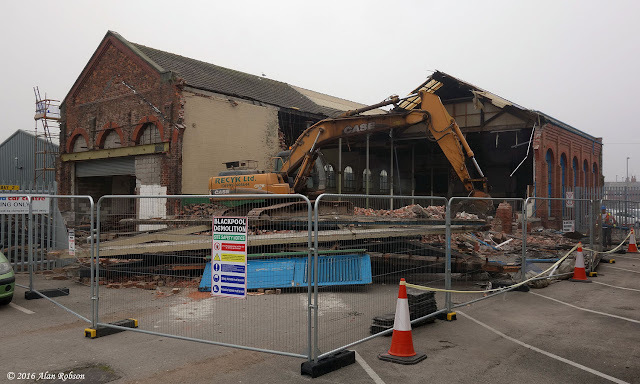 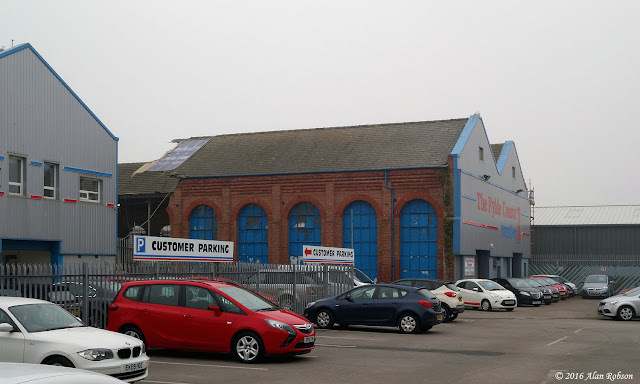 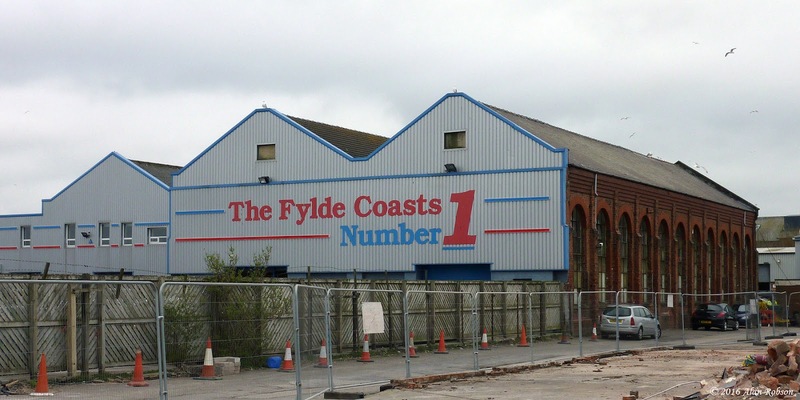 The building was latterly used by Fleetwood Car Centre, but unfortunately it would seem that it is no longer required and the demolition crew have moved in. 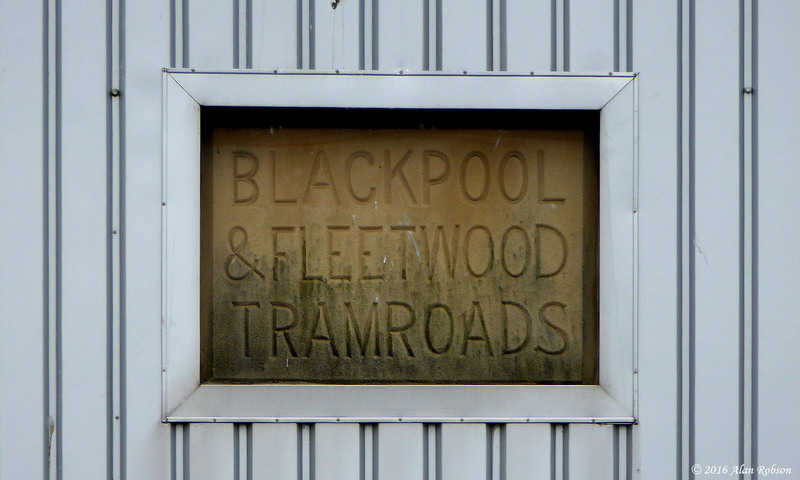 It would be a shame if the original stone depot name plaques were to be lost to posterity, as both of these were still intact at the time of writing. 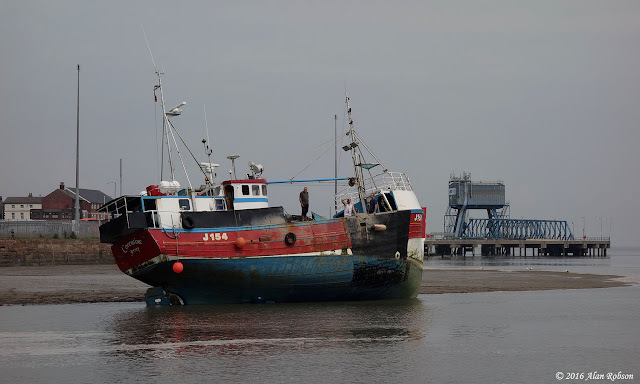 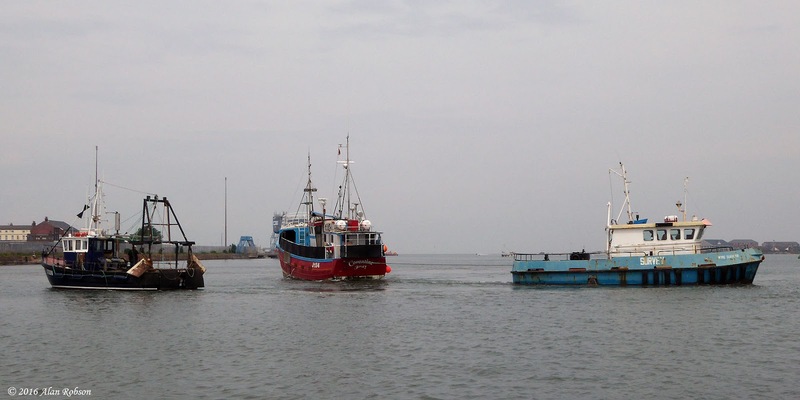 A 60 ton fishing vessel was sat high and dry on the 'Tiger's Tail' sandbank in the River Wyre at Fleetwood this morning. 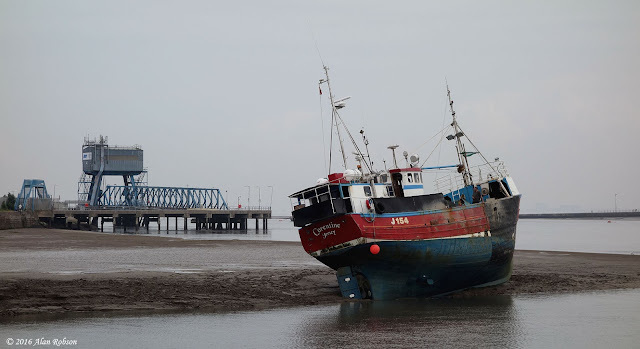 The trawler 'Corentine' ran aground in the river last night, the skipper was charged with ‘being a master, pilot, or seaman on duty while over the prescribed limit of alcohol'. 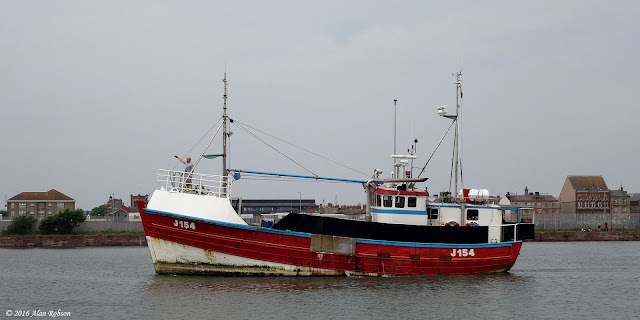 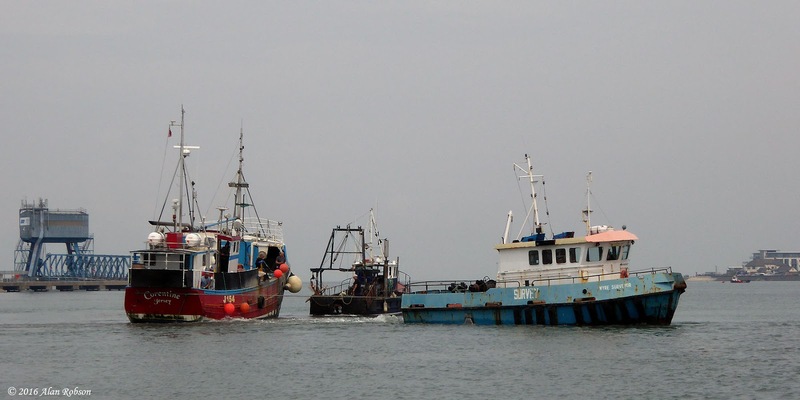 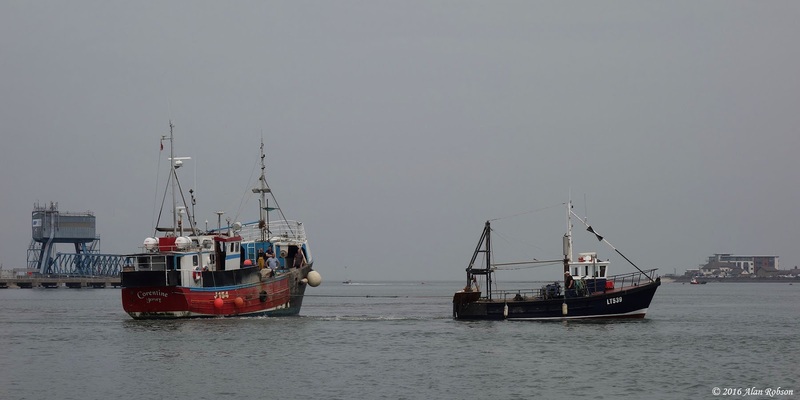 When the high tide arrived an attempt was made to release the Corentine under her own power, but this was unsuccessful, so the assistance of the 10m fishing vessel 'Nicola Dawn' was called for, but this failed in its attempt to shift the trawler with the aid of a towline. 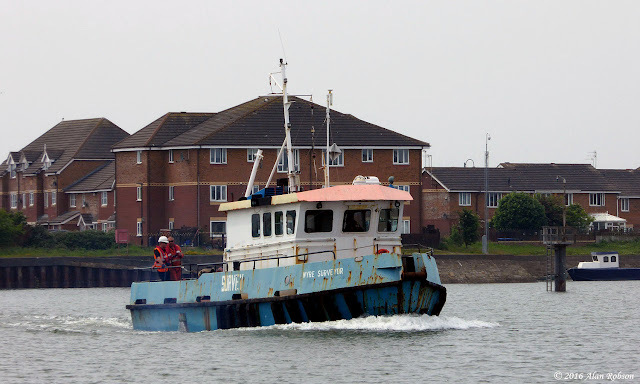 More power was needed, and with the arrival of the tug 'Wyre Surveyor' to assist in the pull, the Corentine was finally towed off into deeper water on the high tide at 13:30.